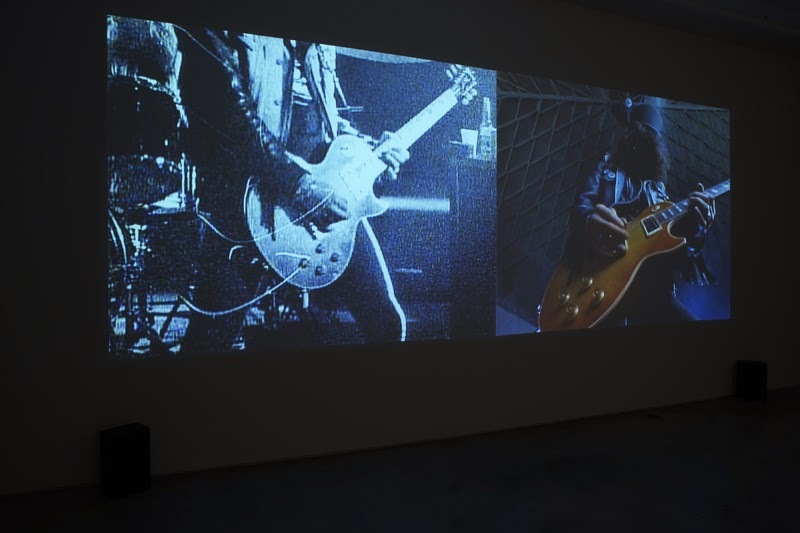 Cory Arcangel's Sweet 16 is a musical composition and video installation which applies a 'phasing' technique to the first 16 bars of Guns 'n' Roses Sweet Child O' Mine. Slash's instantly recognisable guitar riff repeats and builds, leading us up to the drum roll where our expectations are conflated as the song loops back round to the beginning. 2 versions of the riff overlay with one a note shorter than the other, looping over and over until they come back into time 15 minutes later, and creating some startling auditory effects along the way. Phasing, devised by American minimalist composer Steve Reich, is an example of process music. In process music a simple device or compositional system is devised and applied to a piece of music and then allowed to play out to its conclusion. In phasing compositions 2 or more pieces of music are overlayed, identical in all aspects but their lengths. Reich's phasing compositions began with his magnetic tape experiments, such as 1965's It's Gonna Rain, where Reich took 2 recordings of the same sermon and played them together on different machines. The slight mechanical differences created a 'phasing' effect when the tapes went out of sync. 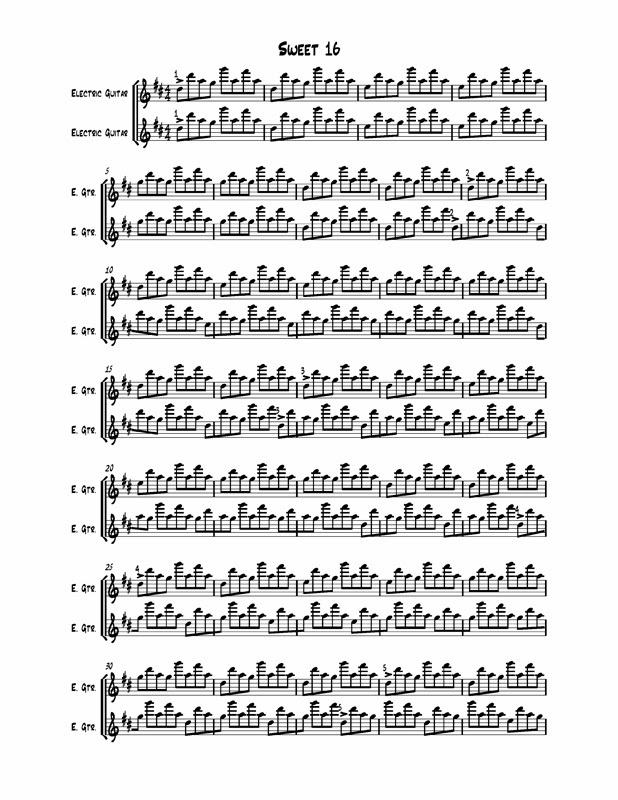 Reich later developed and appplied the technique to compositions such as Clapping Music (1975) in which one player plays a piece a semi-quaver shorter than the other, going out of sync a half-beat further each time until coming back in to time 144 bars later. Arcangel's composition follows this same logic, applying the techniques of the 20th century avant garde to an example taken from popular culture.